Highly respected, locally recognized accounting, tax planning and consultation services are provided by DNS Accountants. We are based in Aberdeen, London & many other parts across the United Kingdom. We specialize in Limited company accounting, giving advises on various tax related matters. Tax investigation, tax planning & accounting services are the key areas of our methods. DNS Accountants focus on developing its business and boosting benefits by keeping an eye on the accounting of the contractors. The inconvenience & hardwork of the accounting work from the contractors are taken & done by the professionals of the DNS Accountants. With more than 1,000 clients across UK, we have made our existence since the year 2005. A lot of time is invested in understanding the requirements of the clients first of all. We then draft a proposal & sets of things in which the professional team has to work. The team of our Contractor Accountants in Aberdeen are ready to help & perform as per the proposed ways to meet the requirements of the clients. Personal tax consultation is also provided to the clients to maintain/ improve their business wealth & personal belongings. In order to meet all the solutions of the clients’ problems in terms of tax & accounting, high quality of solutions are provided. Customer satisfaction is the main criteria for DNS Accountants. 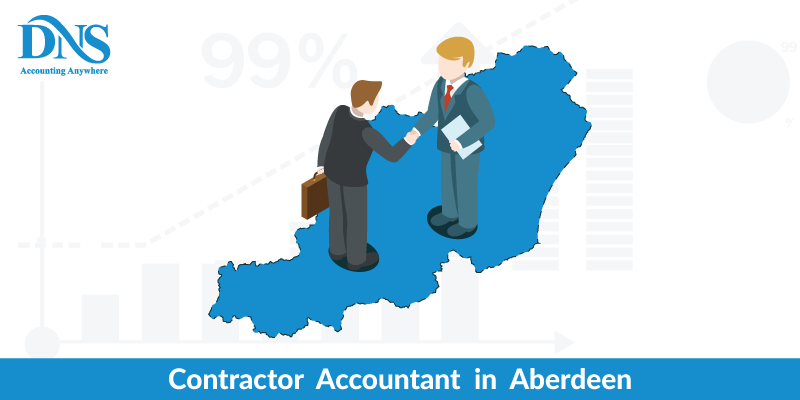 We are into top 10 Contractor Accountants in Aberdeen, a customer gets coordinated relationship with our capable/educated authority temporary worker bookkeepers. It is our pride that we represent ourself to the clients by providing consistent services. In order to retain & satisfy a customer, the quality of the work is concentrated on. Accessibility and moral benchmarks are the other key areas where we focus to satisfy our clients. We provide cost effective services to the clients. Our full business package covers all the business needs and tax affairs with a fixed fee plus VAT charges. The fee we charge is very cost effective & is very minimal. Under their surveillance, accounting & tax services are provided to the clients. With the help of our experts, we help clients in saving money in taxes & help them in getting maximum returns. 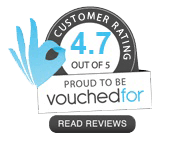 DNS is an award winning accountancy firm that ensures regulated accountants, management accounts. Our guarantee of satisfaction with no chance of penalty. Meetings on weekends can also be arranged by us that too face to face. Our account managers & all the other team members are professional &dedicated. We have the feature that responds to the query of the clients on the same day & our newsletter will guide you about the current trends in the growth of the business. We ensure uninterrupted services, profit oriented services, digital services along with work flow management. Our team of experts & professionals are really passionate about delivering committed work to the client. We manage &monitor the accounts & ensure that all the issues of the clients are addressed & accounted for. Our tax accountants in Aberdeen are the innovative business advisory & Chartered Accountants based in Aberdeen. We are comfortable in handling the tax related matters of the contractors & bookkeeping services are also provided. We provide a wide range of tax accountants in Aberdeen who provides the services of tax returns, annual accounts, bookkeeping. Tax Accountants Aberdeen occupies the largest network of accountants. We are not typical accountants, but we have maintained our model in a such a way that overheads are less that helps in retaining the clients. Our online accountants in Aberdeen provide the accounting solutions that are responsible for maintaining and managing the firm’s financial records. These financial records or receipts, accounts payable, payroll, etc. Our online accountants in Aberdeen keep an eye on the flow of funds of contractors in their business. Online accountants in Aberdeen provide solutions to all the problems of clients. Accountants in Aberdeen are experts & are very professional. Online accountants in Aberdeen will provide the best solution to your problem bookkeeping & taxation management. IT accountants Aberdeen, provides a professional, proactive service geared towards the needs of the clients. The advice of experts of IT accountants Aberdeen is available face to face meetings or even through telephone or Skype chats. IT accountants Aberdeen are a group of qualified team experts. The core goal of IT Accountants Aberdeen is to save the taxes of its clients & at every possible manner. IT accountants Aberdeen are ready to help you at every possible opportunity. No penalty & full guarantee of satisfaction are the principles on which DNS Accountants work. Special accounting services to Small businesses are provided by the DNS Accountants. Be it a new start up, or an established business, DNS provides its best small business accountants across Aberdeen & other parts of the UK. Small Business accountants Aberdeen serves for several categories of clients like Construction, hotel, restaurants, colleges, recruitment agency. For businesses like health, software development, couriers and many more, small business accountants Aberdeen provides special accounting services like business structuring, notifying the authorities and other. We have offices in Aberdeen, Kingswell, Dyce, Potterton, Portlethen, Westhill, Inverness, Glasgow& other across the UK. Not only this, but DNS have won many awards for providing customer service & excellent accounting services than any other firm in the sector of Contractor Accountants in Aberdeen.